The latest collection Numero 74. 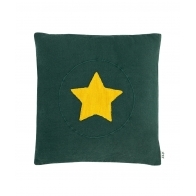 Great, Super Hero cushion in teal blue with the yellow star. 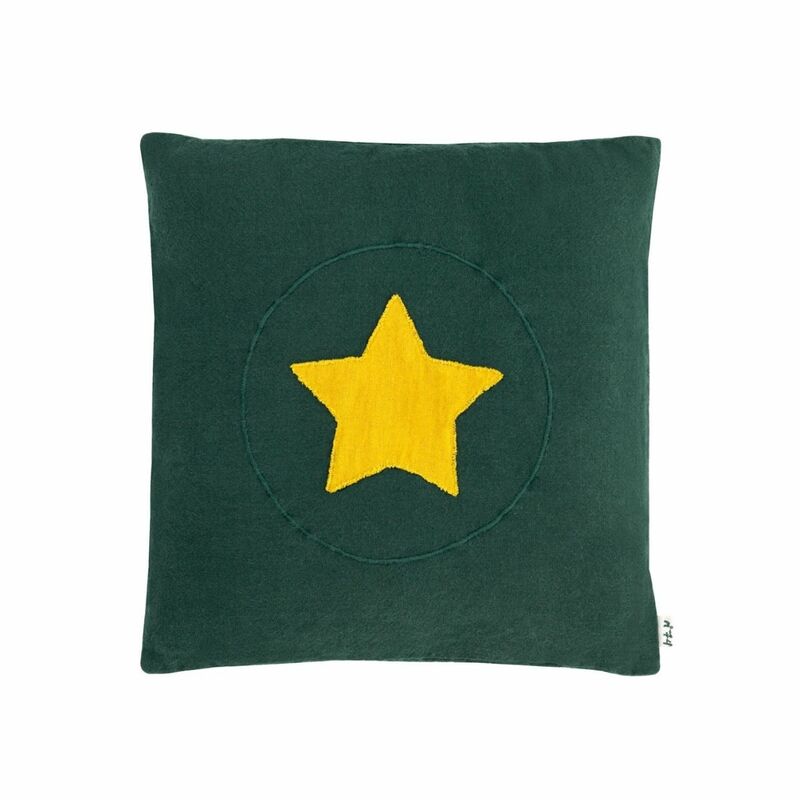 Numero 74 products are handmade and tinted - each piece can be slightly different in size and tone - it is completely natural. All Numero 74 products are perfumed. The fragrance disappears after the first wash.